If you think art is the only creative instrument that can decorate the walls of your home, we would strongly advise you to think again. 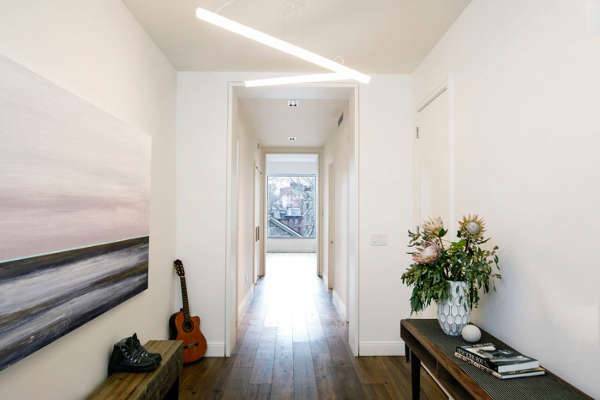 Considering we live in an era that talks about giving a personalized touch to everything, there is a plethora of options- modern, contemporary and eclectic; that you can try to enhance the look of your walls. 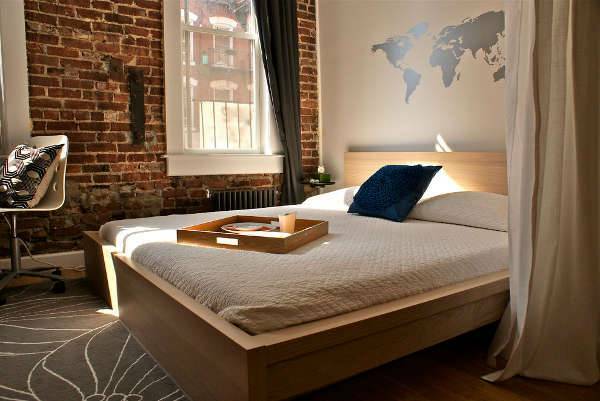 We have today compiled a list of 10 attractive wall decors that will help you spruce up the look of plain boring bedroom walls. Enlarged photographs and artworks of your favorite people, places or things can serve as interesting wall decor pieces for your bedroom. 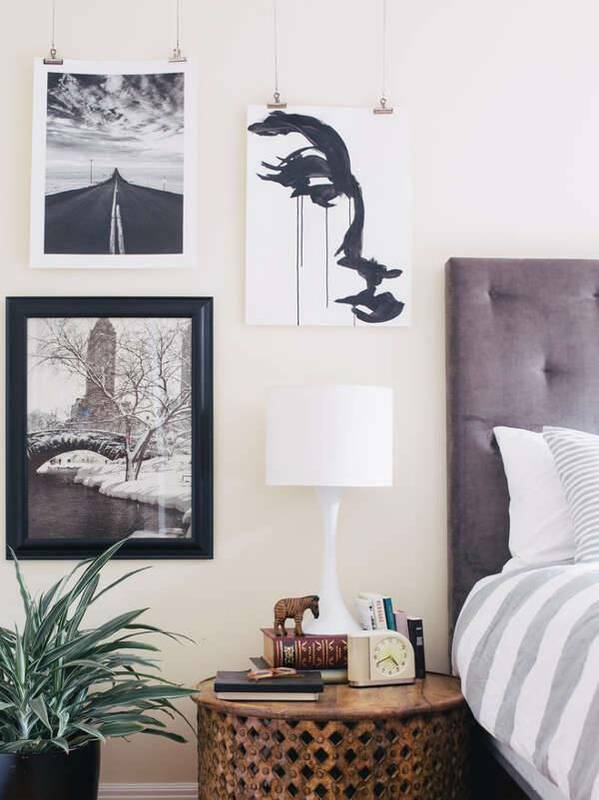 If you have a few close and personal photos that hold a strong emotional connection, try and print it out in considerable size and set it in a beautiful frame that works well with your bedroom decor. 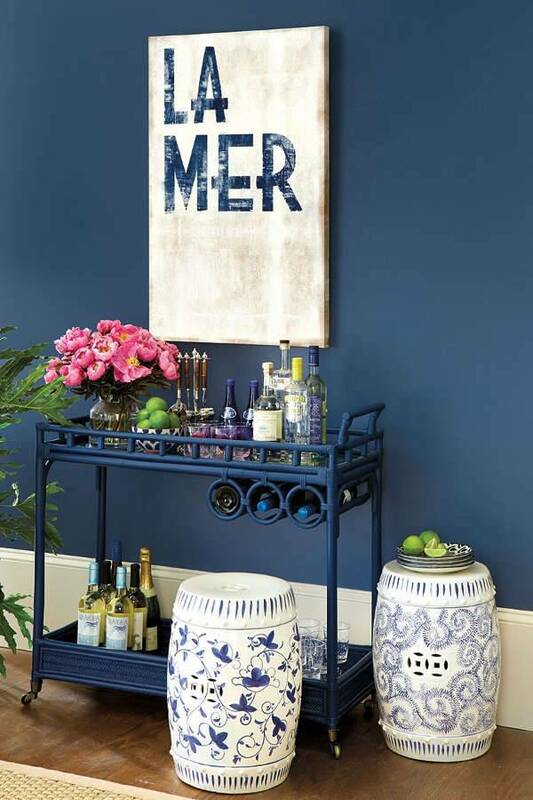 Decals are one inexpensive and easy option to try and add personality to your space. You can just peel off the decal and stick a new one, once you get tired of the design. 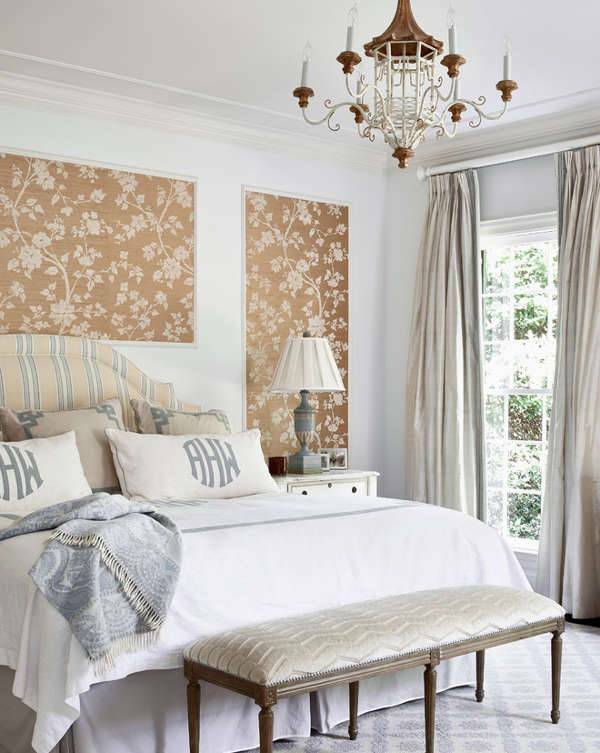 Patterned fabric panels allow you to hang your favorite pictures, images and other textures in the form of a flowing piece of fabric. The usage of fabric creates an endless number of possibilities to decorate your space and tailor it to your taste. Believe us when we say it, mirrors is one accessorizing piece that can brighten your space and make it feel more spacious. 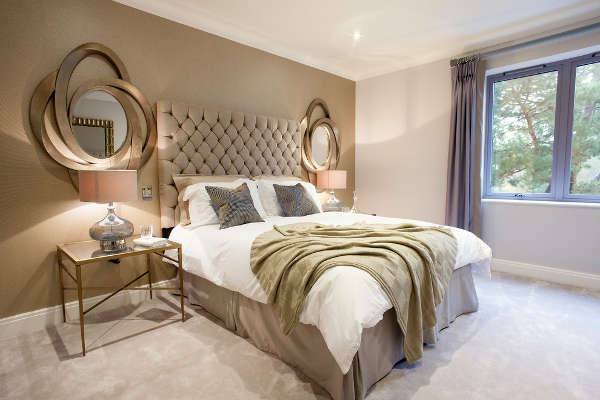 You can go for the shape of your choice and try hanging it on a corner or an empty wall with a unique arrangement for lending a statement look to your bedroom. 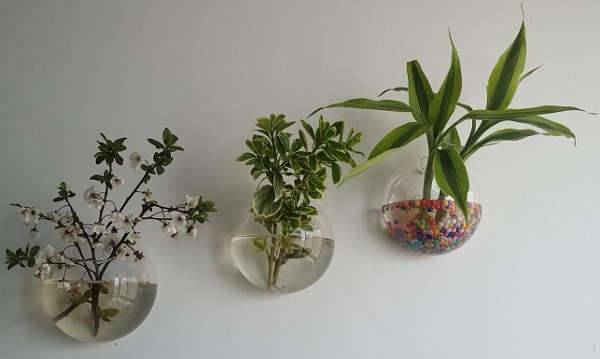 Bring some life and color to your walls by hanging planters. Not only will you enjoy the benefit of clean air but also the look of a refreshing and stylish space. The indoor planters also help to bridge the gap by connecting the indoors to the outdoors. A bright color plaster will contribute in bringing a zing to your bedroom while making it look equally elegant and glamorous. The bright colored walls will also let you keep the interior decor minimal and candid. 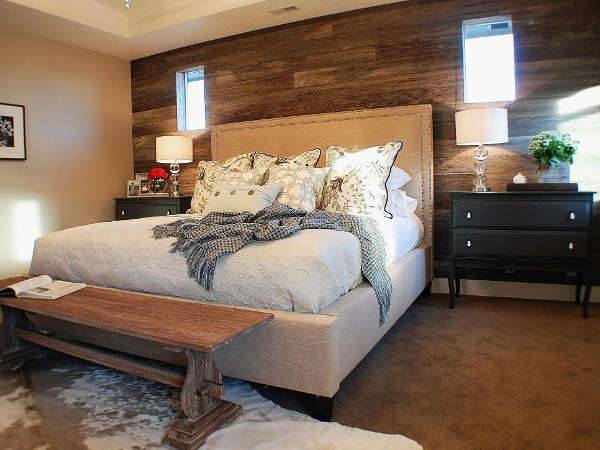 Pick a wall in your bedroom and decorate or affix it with reclaimed barn wood. This addition will help to give a rusty upgrade to your space and make it look more aged and vintage. If you have a small bookshelf in your bedroom, try showcasing a canvas artwork on the shelf for giving an artistic accent to your literary corner. The tint on the canvas will bring contrast to the hardbound monotony in the form of regular books. Wall hangings do not just help to bring texture and dimension to your walls but also add a unique edge that can contribute in framing your space by accentuating your personal style. 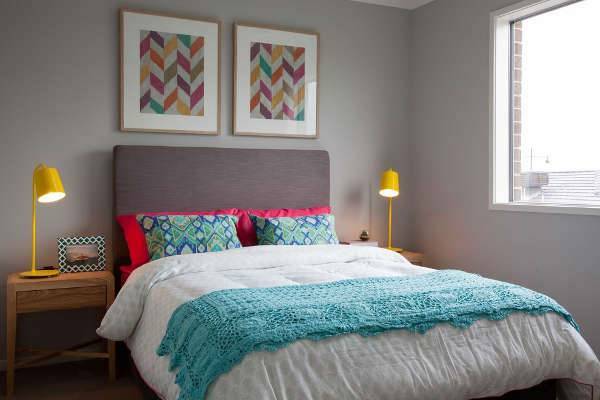 Experiment with materials and colors to find the best fit for your bedroom. If you or any member of your family tends to draw in their free time, hang those pictures without frames for giving a more organic, natural and DIY touch to your space. Pick the one trend and style that best justifies your home and don’t shy away from experimenting with the routine look of your walls.